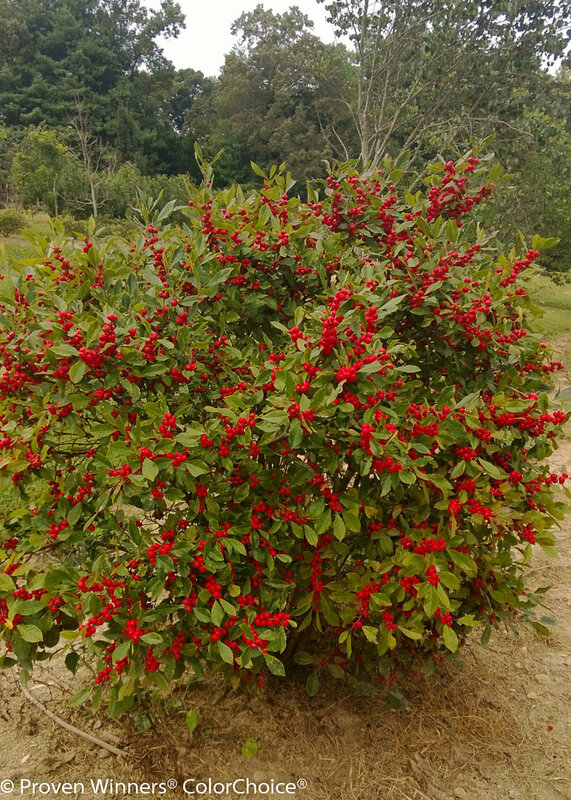 Dwarf winterberry with lots of extra-large berries! Mass plantings; hedges; cutting gardens. Its dwarf size makes it a good fit for container gardens and smaller landscapes. 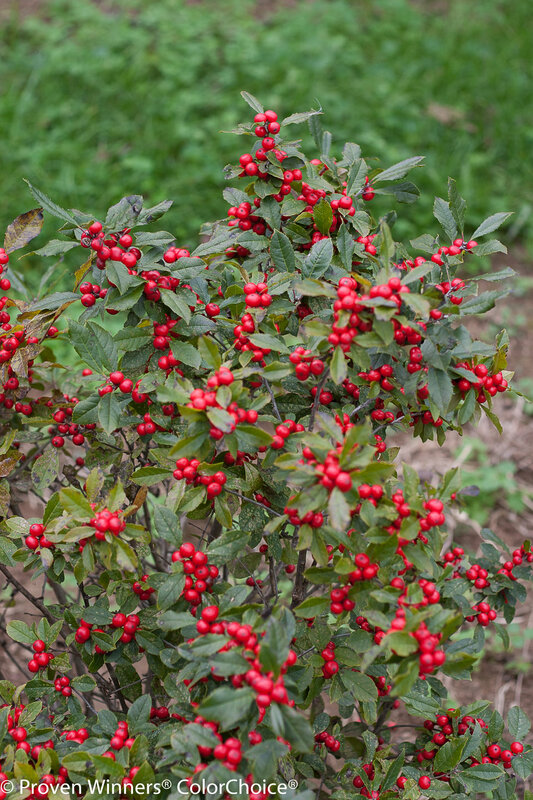 Ilex verticillata tolerates damp conditions, and may be used in rain garden and bioswales. 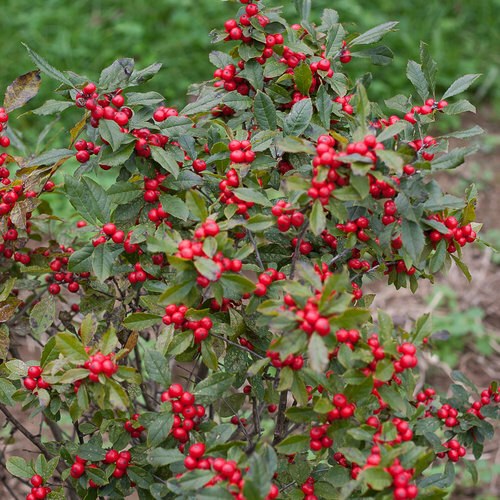 PLEASE NOTE: To produce berries, you'll need a Little Goblin® Guy ilex, the male pollinator. 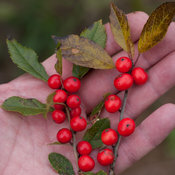 One Little Goblin Guy will pollinate up to five Little Goblin Red and/or Little Goblin Orange winterberry hollies; plant within 50'/15.24m of one another. 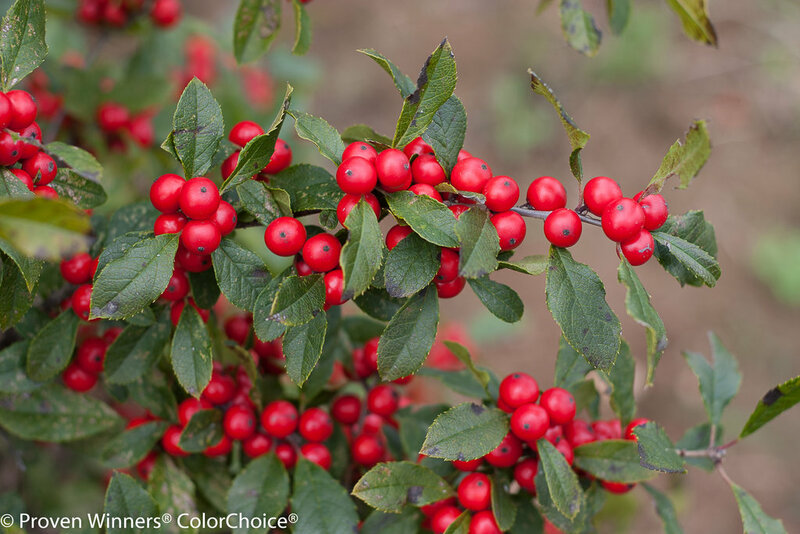 For complete details about growing and getting berries on winterberry holly, visit our Ultimate Guide to Winterberry Holly. Adaptable to wet soils, does well in light and heavy soils. First class pick for planting in saturated areas. 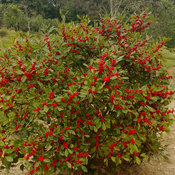 It is best to avoid pruning winterberry hollies, except to remove whole branches for cut flowers or other decorating. Regular pruning or cutting back, however, will impact the number of flowers and the quantity of fruit that the plant sets. Little pruning should be required, though very old branches can be removed in early spring if they are no longer producing vigorous growth. 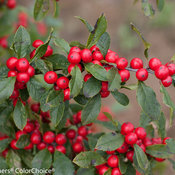 According to the Humane Society of America Ilex berries can be toxic to pets. This is means that the plants are generally identified as having the capability for producing a toxic reaction. 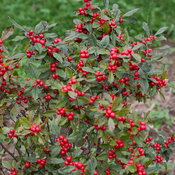 We just started growing this variety last year and I have several customers not pleased with this ilex type. 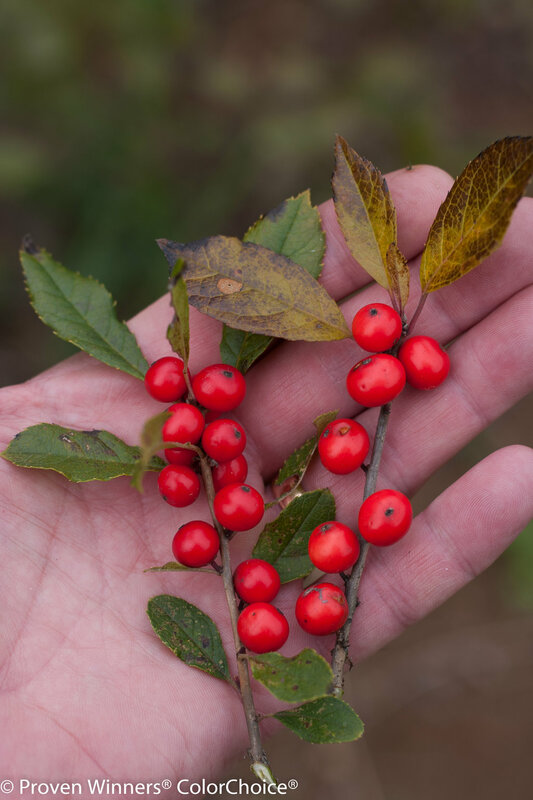 The berries are beautiful, true, but this lex is not an evergreen, it drops its leaves. Nowhhere in the PW literature have I been able to find an image or reference regarding this attribute. If there was a reference, I could have explained this to the customers and another ilex would have been selected with no I'll feelings. Now, I have to take a loss and have several unhappy customers. Now that I have grown this plant for a few years in my garden, it's one shrub I wouldn't ever be without. All sorts of pollinators swarm the tiny flowers in early summer, and its persistent fruits are snapped up by birds in early spring. This is the only plant in my garden that has such vibrant color over the long winter. I wish I had room to plant a dozen of them!